Citations recognise and reward the diverse contribution that individuals and teams make to the quality of student learning. Citations are awarded to academic, professional and sessional staff, and institutional associates, who have made significant contributions to student learning in a specific area of responsibility over a sustained period. For her role in embedding a written communication skills diagnostic into the curriculum to facilitate student awareness and access to support services, and enhancing development in English language proficiency, Jennifer Short was recognised for a Citation for Outstanding Contribution to Student Learning in 2018. Effective communication skills are essential for student engagement in the learning environment, and are imperative for future graduate success. Jen led the implementation of a scaffolded and unified approach to communication skill development within the Faculty. Embedded within the curricula, a communication skills diagnostic was paired with knowledge around resources and support services, whilst reflective, analytical and strategic skills were developed in parallel. This deliberate and explicit alignment of knowledge and skills was designed to facilitate an on-going student-centred improvement cycle, tailored to the individual student and their communication skill developmental needs. Overall, this intervention led to a strong foundation for student retention and success, and a demonstrable increase in student engagement with learning support services around communication. In the field of teaching and supporting student learning, Dr Suzanne Caliph, Dr Ian Larson, A/Prof Paul White and Prof Cark Kirkpatrick were awarded a citation for outstanding contributions to student learning. The team was recognised for their leadership and contributions in development and implementation of teaching activities and resources that enhance student learning, experiences and outcomes in the graduate-entry bridging unit, an accelerated entry pathway into the Monash Pharmacy course. In their work, Caliph et al. developed and implemented an innovative and effective unit combining online learning with face-to-face active learning workshops in which students apply knowledge and practise professional skills necessary for successful careers. Multiple formats of intensive learning activities and resources were designed and developed by the team in collaboration with teaching and professional staff. 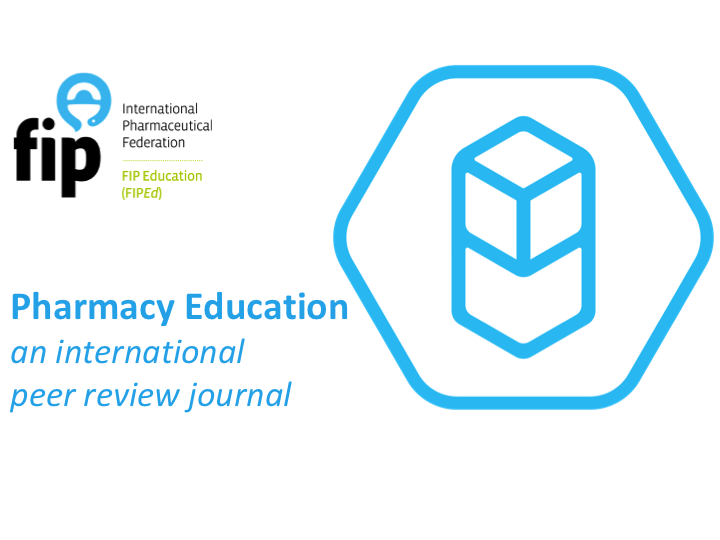 These custom designed independent and interactive learning resources and activities connected graduate entry student’s prior knowledge and understandings in the context of pharmacy, provided opportunities and inspirations for learning engagement with practitioners, teachers, mentors and peers. The impact of their innovations and the success of this bridging unit have been evident by very high levels of student engagement and achievement as these graduate entry students have been awarded their degree within two years. The team’s leadership, contributions and innovations in teaching and learning have provided accessibility, flexibility, supportive experiences and positive outcomes for the graduate-entry students. Nilushi (Nel) Karunaratne is an Early Career academic who uses a wide range of teaching strategies to successfully engage diverse cohorts of undergraduate pharmacy and pharmaceutical science students. She is recognised by students and peers as outstanding small group facilitator. and instructional resources impacting on the quality of teaching and learning. For approaches in support of learning and teaching that influence, motivate and inspire students to learn, Dr Erica Sloan was recognised for her significant contribution. To prepare pharmacists of the future, Erica led the development of an integrated program of theoretical and applied research that provides opportunities for undergraduate pharmacy students to develop a broad skill set including: excellence in teamwork, critical thinking, leadership, soft-skills and reflective learning. Over the last six years Erica has advocated for, and led the introduction of research skills across courses within the faculty. She has inspired students to learn through her creative and engaging approach to learning through engagement. Her teaching is “interactive, funny and makes everything about immunity more interesting and fun…..Her use of stories integrated in lectures is super cool” (student feedback). In the field of curricula development, resources and services that reflect a command of the field, Dr Safeera Hussainy, Ms Barbara Yazbeck and Ms Maxine Cuskelly were a awarded a citation for outstanding contribution to student learning in 2015. The team was recognised for their work in developed evidence-based medicine curricula based on world's best practices. This work allows students to engage in enquiry-driven learning developing their capacity to practice for life. Students apply their new skills in a range of clinical situations. In the field of innovation, leadership or scholarship that has influenced and enhanced learning and teaching and/or the student experience, A/Prof Michelle McIntosh, Dr Laurence Orlando and Ms Kim Styles were awarded a citation for outstanding contribution to student learning in 2015. This team lead the redevelopment of analytic chemistry teaching within the faculty including the introduction of problem based learning. They developing a strong partnership with a commercial HPLC supplier (Shimadzu) and planned the redevelopment of lab 118 to facilitate this new model of teaching. The combination of custom developed teaching space with state of the art equipment ensures students gain hands on experience spending their time learning up to date techniques and troubleshooting. The partnership and learning space design has been used as a model by other national and international universities in the development of their own facilities. Dr Laurence Orlando was recognised for the development of career ready graduates, through the use of student centred enquiry based approaches to present authentic scenarios, which students are likely to encounter in practice as formulation scientists. Laurence acts as a coach to guide inquiring minds, facilitate the development of critical thinking skills and model good leadership and teamwork. Dr Orlando's international experience in industry drives her to prepare graduates industry want to employ and work with. The partnership established with industry through the Industry placement unit has generated job offers for over 40 students in the last three years. The students guide their own learning, both around the knowledge of formulation sciences and around professional behaviour. Laurence challenges final year students to "invent the professional within yourself". Dr Safeera Hussainy was awarded a citation for innovative learning design that guides the development, assessment and feedback of pharmacy communication and promotes students' growth as reflective, empathetic health professionals. This approach develops the students' communication skills through clever role play and video feedback in a state‐of-the‐art teaching and learning environment (virtual practice environment) and assesses skills using validated methods (Objective Structured Clinical Exams, OSCEs, and rubrics) using the Pharmville (fictitious families of patients) resources as a contextual platform. In 2011 Suzanne Caliph was awarded a citation for outstanding contribution to student learning in recognition of developing curricula, resources and services that reflect a command of the field. As a lecturer with a leading role in small group and laboratory teaching, Suzanne undertook a rigorous comprehensive review and redevelopment of teaching activities including development and implementation of a number of teaching resources for face to face and online learning. A significant outcome of the redeveloped curriculum included international and industry collaboration to create a virtual sterile cleanroom in a virtual space (Pharmatopia) which provides opportunities for students to learn, practise, self-assess and receive feedback in an active non-threatening environment. Suzanne's commitment to the future demands of the discipline and professional practice was the driving force behind the teaching reforms, instilling skills that encourage students to actively engage in their own learning path. In 2010 Dr Michelle McIntosh was awarded a citation for outstanding contribution to student learning in recognition of the innovative approach to leadership developed within postgraduate education through the creation of a student chapter of a distinguished international professional association. Michelle played a pivotal mentor role in the establishment of the AAPS Monash University Student Chapter inspiring students to develop leadership and collaboration skills, and an outlook that encourages effective competition with their international peers. 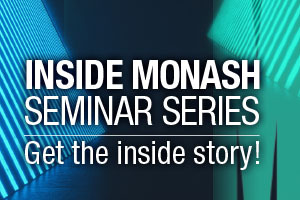 Michelle's innovative program will be adapted into a formal training element of the Faculty PhD skills training program at the advent of the Monash Institute of Graduate Research in 2013. In 2010 Dr Dan Malone was awarded a Citation for Outstanding Contribution to Student learning in recognition of his innovative and inspiring approach to teaching physiology and pharmacology, instilling a passion for learning in undergraduate pharmacy students. Dan's inspirational approach in the use of animations, videos and websites, combined with bounds of enthusiasm provides the ultimate environment for student learning "… it was great to see his enthusiasm which would bounce off him and onto the students. His constant attempt at making analogies and adding his two cents worth kept the topic interesting while still covering a great deal of information". Dan's outstanding achievements has also lead to a Vice-Chancellor's Award for Teaching and a Citation from the Office for Learning and Teaching (OLT) for sustained dedication to improving the quality of the student learning experience within a specific area of responsibility. In 2009 Dr Sab Ventura was awarded a Citation for Outstanding Contribution to Student learning in recognition of his strategy for improving student attention and concentration in lectures, through the strategic integration of brief audio visual components. Addressing different learning style needs, and engagement of students, Sab's approach resulted in noticeably increased student attendance. A student survey showed that 95 per cent of students involved thought the carefully selected video clips helped maintain concentration during a lecture. Sab's method has published his approach in a peer reviewed journal and at the Satellite Meeting on Pharmacological Teaching, 15th World Congress of Pharmacology.